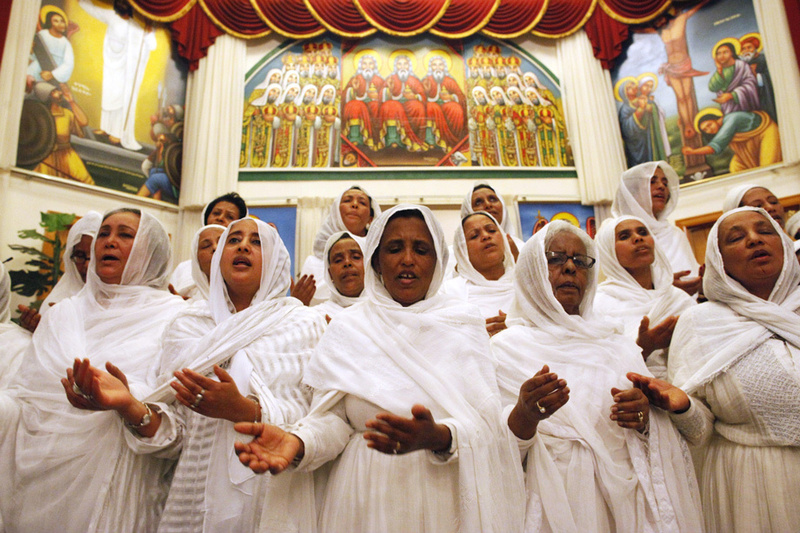 Since its beginnings, the Christian tradition has been interested in the ethical and social concerns of its adherents and the wider world. In recent decades, questions concerning the role of women within the Church have fostered much discussion, academic and otherwise. Speaking broadly, conservative interpreters of the New Testament have affirmed an understanding of “Biblical submission” for women within the Church, while progressive scholars have sought to develop an understanding of New Testament texts that allows for a more inclusive view of the role of women within the modern Church. Scholars continue to write on the proper interpretation of New Testament passages bearing on the subject of gender, especially in the letters of Paul. Particularly interesting, Paul’s passage concerning head coverings in his First Letter to the Church at Corinth provides scholars with an example of a passage that prima facia presents a possible interpretation of Paul that appears rather traditional in his understanding of the role and place of women in the Church. This post examines the arguments and claims of two interpretations of First Corinthians 11:2-16. In Understanding the Social World of the New Testament, Carolyn Oseik and Jennifer Pouya present an interpretation of Paul that reflects the importance that he placed upon social considerations of honor and shame for the community at Corinth, as well as his eschatological concerns for the Church in general. For further consideration, we will examine the interpretation presented by Victor Paul Furnish in his treatment of the passage in The Moral Teaching of Paul, where Furnish interprets Paul through a paradigmatic view of Galatians 3:27-28 and understanding of differentiation. While these interpretations share many concerns and interpretive features, Osiek and Pouya as well as Furnish present us with what are ultimately two differing interpretations of this passage. In examining these interpretations, one will see that while each argument contains notable insights, Osiek and Pouya ultimately present a more coherent and convincing interpretation of Paul in First Corinthians 11. Before delving into the respective interpretations of First Corinthians 11:2-16, we must first examine the overarching contextual considerations of each argument. Each of the interpretations of the First Corinthians 11 occurs within a work that considers a great deal more than we are considering here. Were we to examine a full-length interpretation of First Corinthians 11 by each of the scholars, we would undoubtedly encounter additional insights and considerations of both, a factor that we must bear in mind in performing our interpretation. Let us begin with Furnish, whose interpretation occurs within a book dedicated to the study of the Apostle Paul’s teaching on morality. The section concerning the exegesis on First Corinthians 11 occurs within a section dealing with “Women in the Church.” In this section, Furnish clearly has an overall interpretation in performing his considerations, as he considers (albeit briefly) the post-Pauline literature of the New Testament and Galatians 3:27-28 prior to treating First Corinthians 11, as well as a section on women involved with Paul’s ministry mentioned elsewhere in the Pauline epistles. For Furnish then, his interpretation of this aspect of Paul’s morality will fit into the system of his overall moral teaching, especially his moral teaching on the role of women in the Church, for which Furnish believes there are at least two other vital pieces of information that a proper interpretation must consider. Osiek and Pouya likewise construct their interpretation within a broader context, that of the consideration of the construction of gender roles in the Roman world. Osiek and Pouya consider the canonical writings of Paul and others with greater consideration for overarching societal norms and expectations, such as the importance of the honor and shame understanding. The general construction of gender roles for men and women remains central to Osiek and Pouya’s interpretation, foremost as a primary concern, but also as the interpretive model that they employ to make sense of the Biblical passages, including First Corinthians 11:2-16. Ultimately, both interpretations seek to contextualize the various canonical passages that reference the role of women in the church within the greater contexts of both the specific writer and the broader Mediterranean culture, and we must consider these interpretive understandings in considering the views of each. In looking at First Corinthians 11:2-16, Osiek and Pouya briefly introduce the divisiveness of interpretations to the reader, then strike at the heart of the importance of determining the role of head coverings: “whether or not Paul intended to subordinate women to men.” Osiek and Pouya point to the context of the passage, claiming it addresses a specific religious problem related to the Corinthian church, and indicating that the passage ought to be understood as an ad hoc contextual consideration instead of a universal statement for all men and women in the Church. On this view, Paul writes the church building upon what he has already laid down in accordance with societal norms as the church at Corinth’s paterfamilias, and the established hierarchy of the church to maintain cultural integrity and relevancy. For Paul, the role of honor and shame in the Corinthian community determines what practices may be enacted in the public eye. While Paul believes that women may pray and prophecy (1 Cor. 11:5), he asserts here that in order for the church to be accepted by their community, they must adhere to the social customs that subject men to women in public. Osiek and Pouya summarize their argument by calling Paul’s passage evidence of “cultural conditioning,” because without obedience to societal expectations, the honor of the church in the community would be in jeopardy. The important considerations for understanding First Corinthians 11:2-16 in Osiek and Pouya’s view constitutes reading the passage within the parameters of the context of First Corinthians and the Mediterranean world. In this view, Paul wrote the Corinthians addressing their specific problems and formulated his answers using the general societal model that the culture operated under. The primary motivation for this understanding seems to be cultural relevancy. Paul operated with missional motivation, in order that the church at Corinth could continue to be culturally relevant and preach the Gospel without accruing shame for the role of women within the church. One wonders how Paul would contextualize the role of women in today’s culture, for in Osiek and Pouoya’s view, the proper role of women in the church would be derived from the expectations of the culture in which the church existed. Ultimately, in interpreting First Corinthians 11:2-16, Osiek and Pouya argue that Paul wrote with great regard for the cultural understanding of the church at Corinth, urging them to remain honorable in the eyes of their community by operating under cultural expectations. The interpretation of First Corinthians 11:2-16 provided by Furnish provides a view that similarly considers the cultural importance of women wearing head coverings, writing that for both the Jewish and non-Jewish cultures it was immodest and inappropriate for women to not have their heads covered. But whereas Osiek and Pouya interpret Paul as essentially affirming Paul’s acceptance of a hierarchical model of society and the church, Furnish argues that Paul’s points not towards hierarchy, but differentiation between the sexes. Furnish interprets Paul within the framework of Galatians 3:27-28, which states that in Christ there is no longer any “male or female.” For Furnish, indication of differences between men and women, a “derivation,” does not necessarily constitute a hierarchical dependency of women on men. Furnish rightly notices that women participate in leadership and church activity for Paul, saying that, “[t]he issue is not whether a woman may utter prayers and prophecies in public worship, but only whether her head should be covered when she does.” For Furnish, the overall message of the First Corinthians passage provides for the distinction of men and women in church leadership. Though certain culture understandings ought to be considered, for example that women ought to have their heads covered, the main point of emphasis for Paul involves men and women remaining distinct from each other when they lead worship, pray, or prophesy. What then can we say concerning the role of women within the church at Corinth according to First Corinthians 11:2-16? First, we must note that both the interpretation of Osiek and Pouya as well as Furnish present the text within an ancient Mediterranean context that differs greatly from ours. This understanding points to the necessity of not immediately universalizing the meaning of First Corinthians 11:2-16 to our culture and context. Both Furnish and Osiek/Pouya present an interpretation of Paul that detects a certain level of cultural acceptance, that the women of the church should cover their heads because of cultural understandings. The interpretations do differ in important ways however. Osiek and Pouya argue that Paul wrote with great regard for the cultural understanding of the church at Corinth, urging them to remain honorable in the eyes of their community by operating under cultural expectations. For this interpretation, cultural impact constitutes the most important factor. In contrast, Furnish presents an interpretation which emphasizes not cultural assimilation, but distinction between men and women within their church leadership. Finally, it seems that Osiek and Pouya provide a more coherent and convincing argument than does Furnish. While Furnish presents important considerations within his interpretation, his interpretive framework appears somewhat problematic. Furnish’s interpretation of Galatians 3:27-28 and his application of it as the interpretative hermeneutic for Paul’s understanding of men and women fails to adequately address the holistic and varied nature of Paul’s writings and the complexity of his theology. To take a verse out of its immediate contextual understanding and then use it as the broad interpretive structure for passages within other contexts simply is not an adequate to understanding and interpret Pauline thought. Osiek and Pouya, with their reliance on cultural models and emphasis on providing an explanation of why Paul would assimilate to cultural norms (for the purpose of increasing the missional impact of the church via the consideration of the honor and shame model), seems a more likely and more convincing interpretation of First Corinthians 11:2-16. As this paper is but an introductory investigation of two scholarly interpretations of put a single passage of the writings of the Apostle Paul, I hasten to stress the infancy of this understanding. 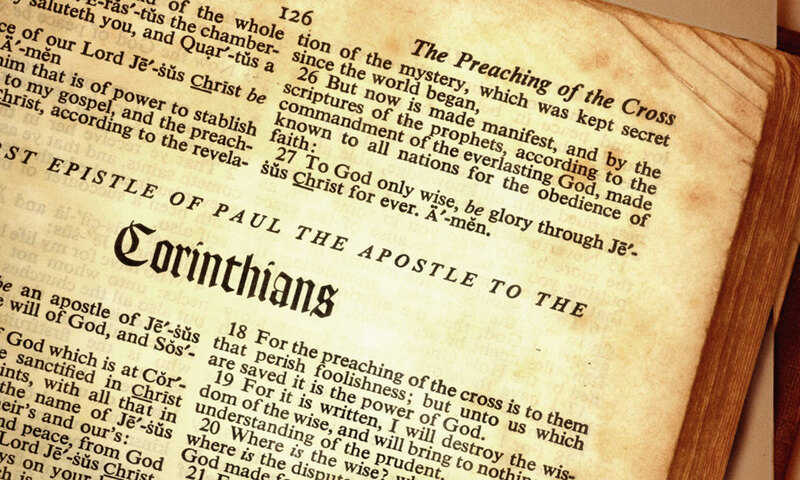 Far more material and research exist that may provide a better understanding of Paul’s meaning in First Corinthians 11 and its proper interpretation for today. However, given the materials and perspectives of this paper, it seems appropriate to understanding First Corinthians 11:2-16 within the interpretation of Osiek and Pouya that places emphasis on the cultural understanding of the church at Corinth, viewing head coverings as a way to remain honorable in the eyes of their community for missional oriented purposes. “Construction of Gender Roles in the Roman Imperial World.” Carolyn Osiek and Jennifer Pouya. Routledge, London and New York. 2010. 44-56. The Moral Teaching of Paul. Victor Paul Furnish. Electronic Edition. Abingdon Press, Nashville. Third Edition. 2009. Pagination provided from The Moral Teaching of Paul. Abingdon, Nashville. Third Printing, 1973. All Biblical use will be from the New Revised Standard Version. The Moral Teaching of Paul. Victor Paul Furnish. Abingdon, Nashville; Third Printing; 1973. 84-95. Ibid., 102-114. “Construction of Gender Roles in the Roman Imperial World.” Carolyn Osiek and Jennifer Pouya. Routledge, London and New York. 2010. 44-56. Ibid., 45. Ibid., 48. Ibid., 49. Ibid., 49-50. The Moral Teaching of Paul. Victor Paul Furnish. Abingdon, Nashville; Third Printing; 1973. 96. Ibid., 97-98. Ibid., 99. Ibid., 102. 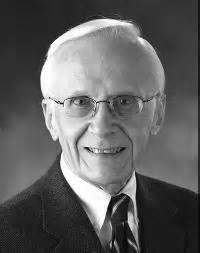 Note: This post is adapted from a paper written at Valparaiso University for Richard DeMaris.